Have you ever been fired? I had not in all my working years. Ever. Until yesterday. And yesterday, I got fired twice. Yup. The proverbial axe. Twice. In one day. 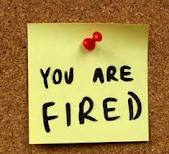 Okay, “fired” is probably not the right word, but I figured I’d lure you in with a snappy lead. I got the first email in the afternoon from one of my editors telling me I was a budget casualty. The next one followed shortly thereafter from the other editor. Where is the love? On Valentine’s Day no less. Another Valentine’s Day Massacre? Apparently the handwriting was all over the wall and I was just going on my merry way oblivious to the impending changes at Patch. I googled it yesterday after I received the emails and found out that Patch was not making money, in fact it was losing money. After acquiring Huffington Post last year, this year they brought in someone new as the CEO of Content, or something like that. If you aren’t familiar with the Patch, it sprung up several years ago under the adage of “hyperlocal” news sites that were the eyes and ears of the communities they served. With somewhere in the neighborhood of 800 sites across the country, the Patch had prided itself on its ability to get its readers the news on everything from board meetings, to police news, school issues, obits and events happening right now. Plus some nice little features and columns. Throw in the fact that Patch was an interactive site in that people could comment on anything, and you had a formula for success. Though rumors are raging, my understanding is that the Patch organization decided to go with a more “cookie cutter” version of news where the sites would share regional news and forgo the “hyperlocal” format they began with. And since much of the local news and columns are written and reported by freelancers, they’d be the first to go. I heard about the Patch on Media Bistro or Journalism Jobs or one of those sites and was excited about it. My little town has one weekly newspaper that covers 11 towns in addition to my own. The city daily does the best it can for regional coverage, the proverbial word being “regional.” I was happy about the Patch and hoped that if it came to our neck of the woods, we could have daily news all our own. When Patch did come here last year, I answered a call out for “mom columnists” Hey, I didn’t care what they called it, I was going to write articles again after a long hiatus. So for over a year I had been a freelancer for two Patch sites. I wrote weekly features about kids going above and beyond, doing different things and being productive young members of our society. It was awesome. I got to know a lot of great kids and hear about some of the tremendous things they are able to accomplish. The kids I featured ranged in ages from elementary school to about 20 years old and were involved in music, the arts, academics, civics, athletics, food, robotics, the church, you name it. I even did one on a kid who was a civil war reenactor. So cool. It was easy work for me. Doing something you love and getting a little paycheck to boot? Can’t beat it. And I enjoyed it immensely. The perfect job for a writer-mom like me. Sadly it’s over and I had to send several emails to the kids who were to be upcoming features and tell them, sorry. The almighty dollar trumps you, kid. No I didn’t really say that, but I am feeling a bit sour about the whole thing. I really, really liked that writing gig. When one door closes, another opens up. Good things happen to those who wait. I will certainly have a lot more free time now. More time to blog, take long walks, volunteer in the kids’ classes, lunch with friends, bake cookies, write that book. Pet my dog. Watch my cat clean herself. Notice I didn’t say clean the house. And then there is always Pinterest. Well, off I go then. My special Valentimes, as my daughter calls it, are my husband, my son, my daughter and the pets. I love them the mostest and they make me the happiest. I love my daughter’s heart shaped-face, my son’s crooked tooth smile, my husband’s handsomeness and warped sense of humor and our sometimes chaotic and wonderful existence here in the sticks. Valentine’s Day is about love, though how it got to be that way is sort of a mystery to me. I think a couple of guys named Valentine were Christian martyrs and celebrated. And then in the Middle Ages, the day became about courtly love and people exchanged greetings. Though the church decided in 1969 not to celebrate the day on the religious calendar for some reason, I guess Hallmark picked it up and, well so it goes. There are some Valentine’s Day haters who say it’s all about the profit margin and marketing. And some who just treasure this occasion and even decorate their house. I remember February 14 as being my Grandma’s birthday. But now that I have kids, it’s fun to decorate homemade sentiments. And I do like my candy and have been known to actually purchase a box for myself on occasion. Russell Stover’s Orange Creams, I love you. Really I do. Valentine’s Day is just another day here in this household. Nothing special really. Nothing fancy. Tonight, since my son stayed home from school with a fever, we will forgo the homemade pizza for some pancakes. Heart shaped if I am feeling domestic. And I just might be. But, whether we like the day or not, it is about love, whatever love you may want to celebrate. Couples. Kids. Parents. Animals. Shopping. Facebook. Whathaveyou. Share it. And since it’s a day about love, and sharing, I decided to make a list of some things I love and share it. Here is a sampling of mine, in no particular order. Pinterest — holy time waster. I love it though. Being a dreamer and all. What about you? What are some things you love? 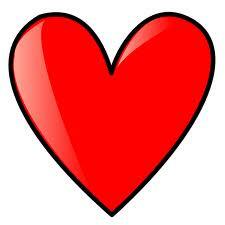 Happy Valentine’s Day and may you be able to take this day to appreciate everything you do love. If parenting were viewed the same way as a paying job, I am pretty sure that today I would have been fired. Actually I am pretty sure my kids will fire me when they get home from school. At a paying job, there is no way in hell that I would ever lose it to the point of giving Linda Blair a run for her money (minus the green vomit) on my superiors or my subordinates. I wouldn’t dare do that for fear of a) I might get fired or b) people would run screaming from the woman possessed by a demon in cubicle 3. But this morning, Linda’s character made a cameo appearance and my poor kids took the brunt of it. After they got on the bus, I came in and cried into my coffee. My dog lay at my feet and my cat meowed in my ear. Knowing this week would be a challenge, yesterday I prayed for patience. I will have to pray harder today. A lot harder. Here’s the back story, which is by no means an excuse for Mean Mommy. It’s just the facts. And since I have a blog, here it is. It’s long, so bear with me. Checkers is our lovely 14-year-old Dalmatian who is mostly deaf and is suffering from degenerative myelopathy and arthritis. The DM is causing his back end to slowly, well, for lack of a better word, degenerate. His front feet are riddled with arthritis, thus making every step probably feel like he is walking on rocks. Since he doesn’t want to walk because his front feet hurt, he is beginning to atrophy in his hind legs from lack of use. He is on meds for pain and lots of natural supplements. We are doing all we can to comfort him and to avoid the horrific duty that sometimes befalls pet owners. We don’t want to have to put him down. Checkers also has a leaky bladder. Okay, I am sugar-coating here. He is full fledged incontinent. Thank God for our Bissell Steam Cleaner. I am pretty strong and I can lift him down the couple of steps outside and put him in the yard to pee. I can usually assist him up the 12 stairs that lead to the second floor, to our room and his dog bed. It’s getting him down that is the challenge. My husband usually just picks him up and carries all 58 pounds of him down and outside. But this week, my husband is out of town. We knew this was on the calendar and I have tried not to let my worry about how I am going to handle Checkers alone invade every thought. Only 99% of them. Yesterday and last night were the beginning of the five days. And it’s not going well. I am going to overshare and hope my husband isn’t pissed when he reads this. The bladder is more leaky than it was before my husband left. (Or maybe it’s the same and I am just projecting.) The pads on Checkers feet no longer have traction and he slips whenever he is not on a carpet. Mealtime becomes a slow slide until he is chowing down on Iams while laying down. Then he can’t get up. And then comes the whine, the moaning telling me that he needs to get up. He has to go. So I bend and try to pick him up and he keeps slipping until I get it right. I have to plant both his feet sturdy on the ground otherwise down he goes again. And when he hits the floor, it just might cause him to pee. And then the next thing I know, we are both covered in it and slipping all over the kitchen floor. Last night, I was able to get him out the door to pee before bed, but the pee never hit the ground. It hit me and my pants and shoes. But at least he peed. To be on the safe side, we have decided to jerryrig baby diapers with some elastic head bands around Checkers’ middle to keep things, at least the carpet and his bed, drier. So at 9 p.m. last night, I attempted to diaper the dog. He wouldn’t get up, so I had to improvise and hope that the diaper was covering his guy dog part. All the while, poor Checkers is being such a good sport, trying not to let the humiliation take over. But at one point, he closed his eyes so super tight and lay his head down. I am no Cesar Milan, but I know what he was feeling. Whether you are human or canine, the very idea you need someone to help you go to the bathroom is just the worst. The WORST. Along with the DM and not moving comes the fact that other things are not moving either. So they end up as little piles on his bed. I hear him shift in his bed — a soft flannel sheet covering a waterproof mattress pad have replaced the nice plush cover that came with his Costco bed. I have a flashlight next to the bed and when I shine it down on him — a pile. Thankfully my head and nose are stuffed beyond belief and I can’t smell it. I take care of that and crawl back into bed. That was the easy part. I begin to worry about how I will get him down the stairs come morning. I fall back to sleep only to be awakened first by my warm daughter who climbs in bed with me and then another shift on the dog bed. And another pile. Crap. Literally. At 7 a.m., Checkers begins to whine. The diaper I put on him is filled so I take it off. And then he pees all over his bed. I wander around the room thinking what I could do to get him downstairs. The laundry basket! Brilliant. I pull it over and try to get him in there. The younger Checkers would have put up a fight. But now, he is old and just lets me get him in there on a towel. I slide him over to the stairs and cross my fingers that this brilliant idea is going to work and I won’t end up at the bottom of the stairs with a 58-pound Dalmatian in a laundry basket pinning me to the floor. Slowly we start down. It’s working. Halleluia! We get to the bottom. To get him out, I use an old canvas bag with handles as a harness to lift him out. But it doesn’t quite work. I finally tip the basket on its side and dump the dog out while using the harness to lift him. More pee as the harness was likely cutting into the poor guy’s bladder. Finally we are up and he is on his feet. When I let go of the harness, Checkers falls again. In the morning he is at his worst after being off his feet all night and has a hard time standing. I forgot. I am tired and this cold is making my face hurt. And my back is starting to hurt, too. My old pup weighs more than half of what I do. I finally get himup and out the door onto the front portico. As I try to guide him down three stone steps, I lose my balance and we both fall onto the frozen grass. But not before he peed all over me, my pajamas and my slippers. I get up, standing in my front yard in my pink bathrobe and wet pants hoping no one is running or driving by to see the spectacle. I get Checkers to walk the 15 yards to the porch,slowly. I get him inside and collapse into a chair. And here starts my downward spiral into Mean Mommy. “Mom, can I have breakfast?” asks my son. I try to catch my breath. “You know where the waffles are,” I snippily reply. I get up and throw the waffles in the toaster and then send him upstairs to get dressed. The kids begin to fight. The waffles pop up and, as I am spreading the Nutella on them, my daughter wants to know why I like Checkers more than her. Then she wants to know why her brother gets two waffles and she only gets one. I cut them in half, wishing like hell I could blow my nose and breathe and actually taste a hot cup of coffee because God knows I need it NOW. I push breakfast at them and head upstairs to get myself dressed. It’s now 8 a.m. and the bus comes at 8:15. My daughter decides she too is going to need more help so doesn’t go up to get dressed but waits for me to assist her. With everything. She hides under the covers on her bed while I try to dress her. I am so frustrated tired and sick I just want to go back to bed myself. So begins the yelling and the Linda Blair-head-spinning-around thingy. Get. Dressed.Now. And then the crying. Both of us. Finally at 8:14 I have her dressed and she is brushing her teeth as I am holding a tissue on her nose to blow out the snot from all the crying. My son has probably NOT brushed his teeth because I was too busy and mean to oversee that chore. He runs out to the bus stop and turns to say he’ll tell the driver to wait. No kiss goodbye. He probably didn’t even want one from the creature he left in the house with his sister anyway. As my daughter comes to get her coat and back pack and I am screaming that the bus is here NOW, she stops to pick up the cat. I grab her, my daughter not the cat, and throw on her coat, and her shoes and out we go, me scolding at her about why we have to stop being late all the time and for crying out loud you are six and should be able to get ready in the morning! and we head to the bus. As she walks around the big yellow arm and boards the bus that her brother is already on, I can faintly hear the little sobs of my poor sweet daughter who is crying because her mommy is a big mean jerk this morning. I see she got into a seat with her big brother. A little wave goodbye from both. I hope I didn’t ruin their day. I really hope I didn’t. Thus the crying into the coffee begins. And this blog post as a cathartic attempt to chronicle my lack of ability to deal with the lemons life has thrown at me today. Tomorrow, I hope, will be better.